Home / Is Bamboo Invasive? Bamboo is not an invasive species. Bamboo is a misunderstood plant. It is native to every continent except Europe. General idea is that for a species to be truly invasive on an ecosystem, it has to be able to spread easily over great distances. This is why the focus on invasive species is on it ability to spread by seeds. Bamboo is only expansive on a small localized scale because viable spreading only occurs from the root system. Control the root system and you control bamboo. You don’t have to worry about the elements, animals or insects spreading bamboo. Bamboo gets a bad name because of irresponsible planting on property lines, not that it is actually capable of taking over the world. With simple management techniques or barriers, bamboo can because a very beneficial plant in your landscape. Regular and abundant flowering. Bamboo has abundant but extremely irregular flowering, typically on 75+ year cycles for temperate bamboos. 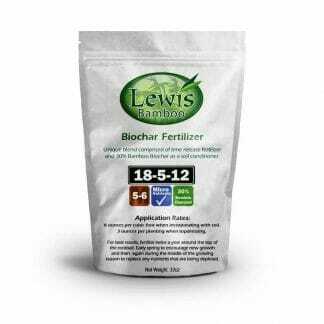 Heavy seed set and excellent germination. Seed set is usually quite poor, germination only occurs in exact conditions. Long seed dormancy and staggered germination. Seed dormancy in the wild is approximately 2 weeks. Seeds are carried by birds and other wild animals. Most seeds are eaten like rice, a source of carbohydrates. Cuttings (of any part of the plant) root easily. 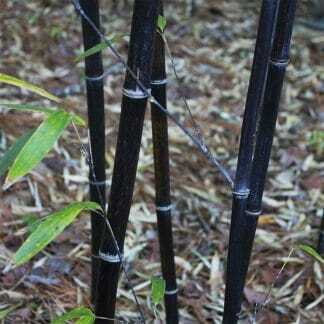 Cane cuttings of temperate bamboos do not root and rhizome divisions need exact conditions. Rapid growth and short life cycle. Bamboo has rapid growth and a very long life cycle. Resistant to grazing. Bamboo is killed with continual defoliation. Deep root system. The core reproductive unit, the rhizome, stays usually within a few inches of the surface. Bamboo can be easily controlled once you understand how it grows. Bamboo grows a little different than most plants. 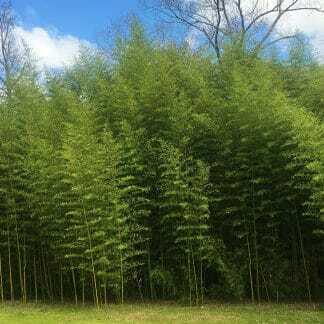 Bamboo culms (canes) only grow during the spring and early summer. They have a 60 day growth cycle and then that cane never grows again. Every generation should be taller that the previous year’s shoots until maturity for a species is attained. The intriguing aspect is that each year’s growth emerges and grows to it complete height in around 60 days. During this time they are fragile (even edible in most species) and are easier to abort or kill if you hate bamboo. There are many ways to control bamboo. Click here to learn more.